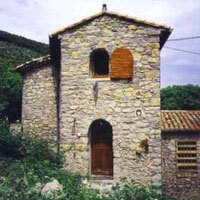 Rooms of hosts - Farmhouse of the XVIIème century restored on 2 levels. Beautiful garden vast and very calm, in edge of forest. 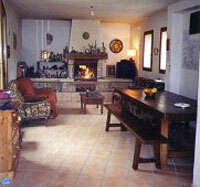 Lodging for 12 to 15 people 130 m², 1000 m² of closed garden, Terrace, Seen on the valley. An idea sympathetic nerve of active holidays in the Cevennes to be realized in family or between friends. 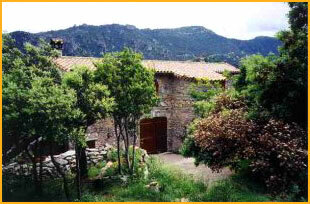 Private individual rents Mas of the XVIIème century restored on 2 levels (130 m ²) for 12/15 people. Place of ideal stay for family with children. 13 beds 1 person, 1 bed-settee 2 people. Chimney. living room of garden, barbecue. Television, Video tape recorder, library adults and children. 1 bathroom, Washing machine, Dryer, Toilets on each level. Fish, Randonnée, Escalade, Equitation, Parapente, Tennis. Possibility of stroll with Asses. Resurgence source of Buèges and river with 300m, Bathes possible. 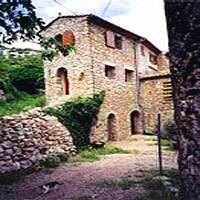 To see medieval village perched in the middle of the olive-trees centaires with 2KM, prehistoric Site. Fauna and exceptional flora. Classified site will natura 2000. Products of the soil bio, and good wine of Languedoc. Inn caussennarde re-elected of the "Lavagnes" with 12'. National park of the Cevennes to 50 km. Great site of ST GUILHEM the DESERT CAVE OF CLAMOUSE with 20'. Great Site of the Circus of Navacelles with 1H. cave des Demoiselles with 45'. Spots randos: 487 km of marked out paths charts placed at the disposal with the farmhouse. Spots of speleo: swallow-hole of Leicasse with 45', damages of Rabanel with 1h, swallow-hole of Grelot with 15' and Capitelle with 20', swallow-hole-cave of Garrel with 10', etc…. Spots VTT 707 km of marked out paths charts placed at the disposal. Spots parapente: White rock of Séranne 1000M. departures with 1H10 of the farmhouse. Spots canoé-kayak: descent of the throats of Herault on 15' all levels.